Ready to Install Your Piping System? Whether you need a single pump replacement or a full turn-key installation of equipment and piping, John Henry Foster is here to help. 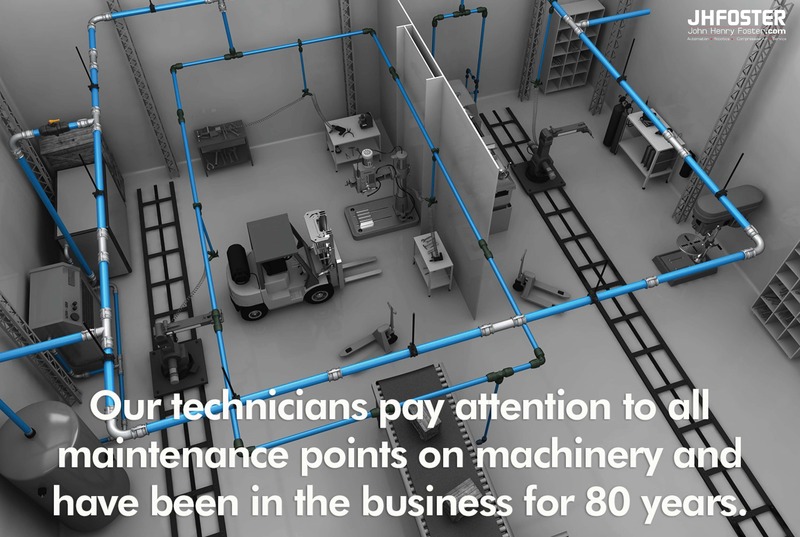 Our team of air piping installers, pipefitters and servicemen have over 100 years of combined experience to install your systems quickly and keep them operating smoothly for years to come. At JHF, we have in-house experts ready to accommodate your piping requests. We can provide installation on brand new systems, as well as those that might include the need to retrofit, modify and/or repair existing systems. We place a high value on installing the right equipment correct the first time and also making sure it’s installed in the safest location. Click below to learn more about the types of piping systems we can provide. Our engineer staff offers over 100 years of combined experience that work closely with you through the complete process of project design to installation and continued support on an as needed basis. We are equipped to assist with high or low custom volume requirements. Please contact us today at 651.452.8452 or request more information to learn about our vast compressed air piping systems inventory and the rest of our product line and service offerings.